Growing your own food is immensely satisfying. It’s also fun. But where to start? How to maximise your harvest? How to deal with problems? 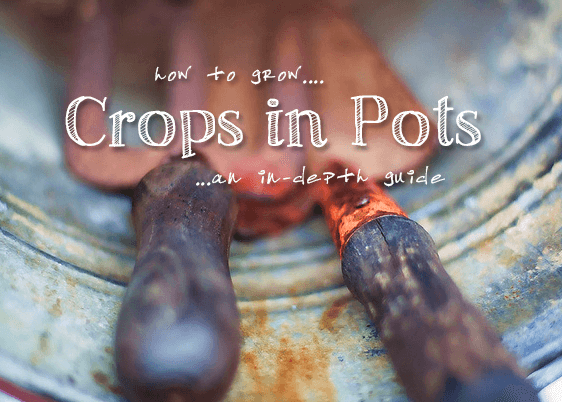 This guide, made up of different “sections” that link to various articles, is designed to give you a thorough grounding in the art of growing crops in pots. It’s better used as a point of reference, rather than read linearly, and the idea is that you’ll be able to come back to it as you need to. 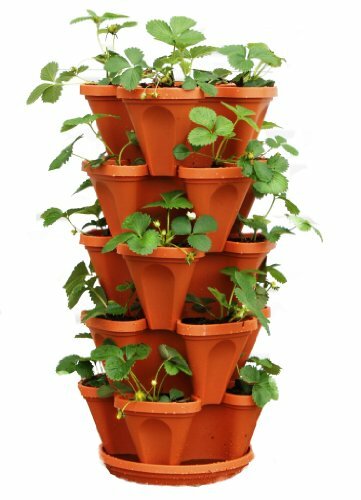 There’s loads of innovative stuff to help you grow more food! Easy to learn, hard to master. I think that phrase is true of most things in life…it’s certainly an apt description of container gardening. At its heart, the process is simple: get some potting mix, pop a few seeds on top and wait for nature to run its course. It’s the specifics that are a little trickier – choosing the right varieties for growing in pots, crafting the right potting mix, formulating the right feeds, using the right insecticides…there’s a lot of “rights” to get right! But why bother to learn about these things? Well, on the one hand you’ll have as bountiful a balcony or patio garden as you possibly can. On the other, you’ll have a skill for life. Sketching out how you’re going to organize your pots and choosing which veg to grow is almost as much fun as the gardening itself. Get this part right and you’ll be well on your way to a productive harvest. Seeds from the big companies tend to be overpriced. Many also stock just the bog-standard varieties. By going with a smaller company you’ll save money, find unique varieties and, ultimately, have greater yields. I have to confess, I’m fascinated by potting mixes. It’s probably (in my opinion, at least) the most important factor to get right. Depending on your time and inclination, you can either opt for a ready-made mix (like a good multi-purpose compost) or craft your own. Feeding after the nutrients in your mix have all been used is as vital as getting your potting mix right. Learning about plant nutrition and proper feeding now will pay huge dividends later on. Benjamin Franklin (reportedly) said that, “In this world nothing can be said to be certain, except death and taxes.” He clearly didn’t pay close attention to his container garden! Pests (at some point) are as much a certainty as tomorrow’s sunrise…but are easy to get rid of (or even discourage in the first place). Why not try saving seeds for next year? It’s a simple art and is much cheaper. A handful of introductory articles on the scientific basis of container growing. These are some of the books that I’ve found invaluable. There’s also a plethora of fantastic bloggers whose content you might be missing. The New Vegetable & Herb Expert by Dr D.G. Hessayon. RHS Grow Your Own Crops in Pots by Kay Maguire. Indoor Kitchen Gardening: Turn Your Home Into a Year-round Vegetable Garden by Elizabeth Millard. Creative Vegetable GardeningCreative Vegetable Gardening by Joy Larkcom. Practical Botany for Gardeners by Geoff Hodge. Latin for Gardeners by Lorraine Harrison.